Students socializing at annual ISA Prom held in the International Village for the first time, March 22. The International Student Association (ISA) held its annual prom on March 22 at the new International Village. The theme of the prom was a Starry Night. This event was an opportunity for international students to get a taste of American culture. It was also an opportunity for international students to dress up. 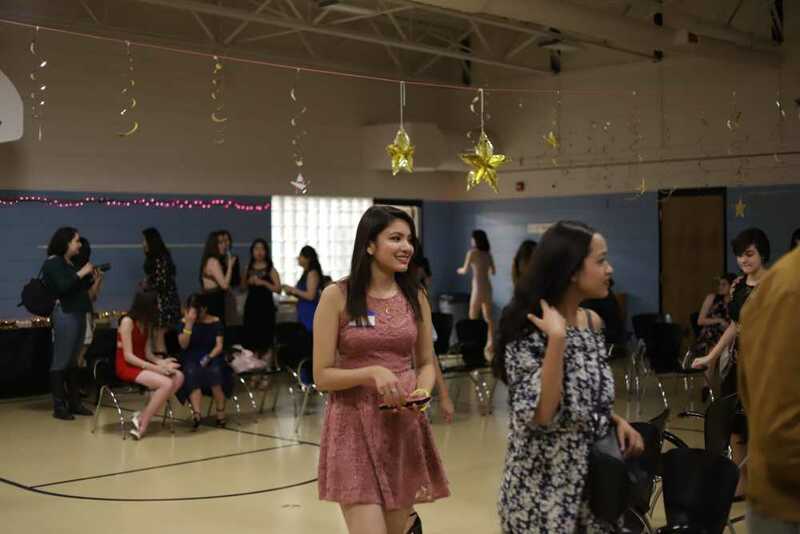 “We tried to make it as much as possible like a prom, of course, high school prom is different than what we had but it was more of an experience of what prom is,” ISA president Avradita Mukherjee said. Most international students have never experienced a prom. The annual prom is an opportunity for both international and domestic students to get the chance to engage with one another and make new connections. A speed-friending segment was held during prom so everyone could get out of their seats and interact with one another. Mukherjee said she wanted this event to help bridge the gap between international students and domestic students. Hors d'oeuvres table set for attendees to enjoy during the Starry Night themed prom. 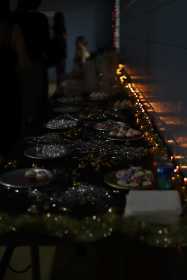 There was a photo booth area with props for students to take photos as well as a table for refreshments and name tags. The decorations represented the theme of the prom as they turned the lights out and handed out glow bands for everyone to have. At most proms, there is always a prom king and prom queen announced at the end of but this prom was different. “We didn’t want to just pick one person for the prom queen and prom king I know that’s like a prom culture that usually happens but later on we figured out everybody is a prom king and prom queen,” Mukherjee said.